Not everyone can relate to sports, but they can relate to food. Our team building cooking classes provide the perfect environment for groups to feel comfortable and express their creativity. At the same time, participants can learn something new about each other. 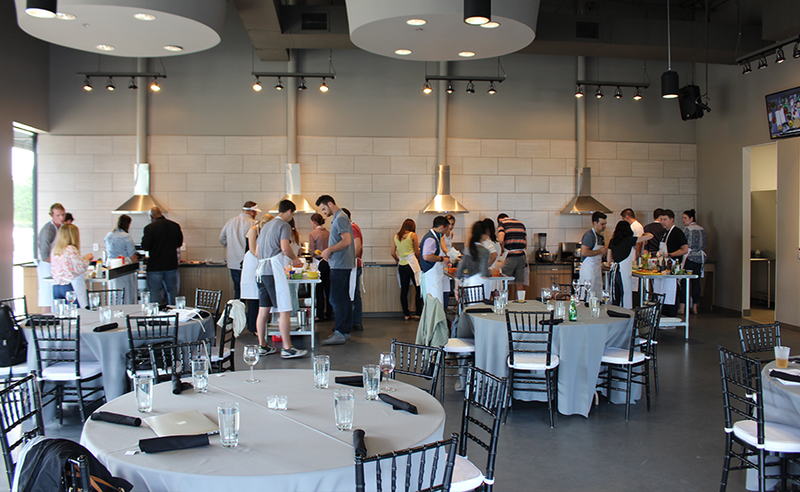 We divide your group into competing teams, each with the guidance of a professional chef. Each group is then given the menu and recipes for the night’s courses, as well as a time limit. Teams must collaborate and work together in order to produce the best meal service they can. This framework fosters camaraderie, as participants prepare and cook their meals so that everyone can enjoy the fruits of your labor! Pricing: To be determined according to menu and number of participants.